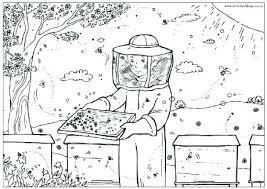 Honey bees are livestock that can produce profits, honey bees cannot be kept anywhere, ie must be in special areas such as forests or cool mountainous areas, here honey bees come voluntarily without coercion, of course by providing fishing tools for the cultivation process. 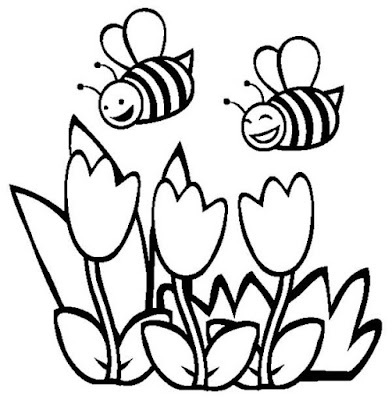 In order for honey bees to come, around the cultivation location there must be a conducive environment and food sources such as nectar and pollen, one of which is in mountainous areas with many flowering trees, heterogeneous jungle, and certain plantations of coconut, cassava, coffee, randu , rubber, soybeans, peanuts, etc. Generally honey bees will look for nests during the colony breakdown season which is in the middle or end of the flower season. So honey bees are not possible to be kept in dense areas and lack of feed such as in urban or residential areas, mate? in addition to the absence of natural facilities for growth, feed is also difficult to obtain and so the risk is that if there is a problem honey bees can interfere with the surrounding residential area. Well, buddy, of course my friend is interested in knowing how to collect, maintain, to produce honey harvest which has a high selling price, this time the writer will describe it in detail as a quality insight and guide for your cattle, the following stages of the honey bee cultivation process are complete. Any animal cultivation, of course, requires a place or cage for development, buddy? well, for honey bees themselves, have special criteria, namely making a place with conditions that support such as the following. Make Box from glugu or coconut wood, box boxes from boards with a thickness of about 2 cm so that honey bees are comfortable and durable. Make sure the ingredients are free of chemical odors such as sawing oil or wood paint. If there is a smell, clean it with water or rain. Spread the inside of the box with honey bees used to make a distinctive smell on Box. Hang glogok in a place that honey bees like to nest, which is a shady and not hot place, like a back porch near a tree, shady tree branches, on mango, jackfruit, gori, or kelwih. Avoid ants and geckos from box, give vaseline to a rope or puddle of water or make a trap box so that the gecko does not enter. In addition to box, honey bee digestion is also required to prepare a special place for honey bee nest, which is made in the following way. The material used is a coconut tree with a length of 50 cm, split in two symmetrically, facing the flat part up, holes and removing the two coconut rods 40 cm in the middle, so that when cupped together can be reunited. The shape is like a closed tube or can and a drum that is empty for the place where honey bees nest, the hole that is on the side or center will be used by honey bees to go in and out. The transfer of honey bee seeds can be done when the queen of honey bees has been found, the queen of honey bees is put in a box, the worker bees outside the box can be immediately put in a box by being herded into place, taken by hand, or smoked to disperse and in a box with the queen of honey bees. Generally, worker bees will look for honey bee queens naturally into the box. When the worker bee has entered the box, wait for 1 to 2 days, the queen of honey bees will come out at 10 am to 2 pm, wait at that time and take the queen of honey bees when they fall to the ground, then put them back into Box. Let the worker bees make a nest in the box. Wait for 3 weeks or 1 month, because honey bees will be very sensitive until there are new honey bee larvae, then the box can be opened. Another way can be done by confining the queen honey bee and placing it at the top of the box so that the colonies of worker bees will naturally enter the box. Let the honey bee queen and worker bees meet to produce more seeds and produce honey, making sure that there are enough food sources around the cultivation site. The right time to harvest honey bees is about 2 weeks after the flower season blooms, while the characteristics of honey bees that are ready to be harvested are when lifted, the box feels heavy because it is loaded or full of honey, when seen the nest is full of honey that is closed night bees or bees wax. While the characteristics of the flowers have bloomed and eaten by worker bees is the appearance of flowers blooming and busy worker bees going back and forth in and out of the nest door for collecting honey. If there is not much interest, the busy bees will be finished at 7 am or 9 am. The more interest, the more busy the worker bees go back and forth collecting honey, it can happen until the afternoon. The following must be done before and during harvest. Prepare a container for you to take honey, place the container between the box or box divider. Take honey for more than 7 days because it already has a balanced water content. Carry out the harvest in the morning or evening, honey can be selected from a box full of honey or two-thirds of it is filled with wax-covered honey. Clean honey bees with a special honey bee brush. The wax layer can be peeled using a permanent knife of honey which has been dyed with hot water then the harvest can be packed and sold as needed. Thus can be conveyed by the author, indeed honey bee cultivation requires special skills and diligence ranging from collecting seeds until the harvest, but honey bee cultivation is economical because it is able to search and produce independently. Surely the breeders must also pay attention to throughout their development so that the development process until the harvest runs smoothly. Finally, the author said, Thank you. Regards. 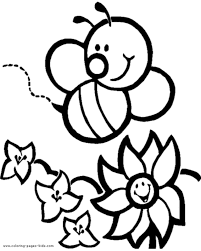 Terima kasih telah membaca artikel tentang Tips To Honey Beekeeping Process - Bluelotusdc di blog Best Coloring Pages For Kids jika anda ingin menyebar luaskan artikel ini di mohon untuk mencantumkan link sebagai Sumbernya, dan bila artikel ini bermanfaat silakan bookmark halaman ini diwebbroswer anda, dengan cara menekan Ctrl + D pada tombol keyboard anda.